Commercial high security locks are essential for the security of your business. while all employees are off premises, and your store is close, its highly recommend to use high security locks, cameras and burglary alarm to prevent brake-ins. Are you locked outside of your home? Kwikey Locksmith Services is here to get you back in and do the job right the first time. We offer many type of locks and re-keying services. No matter what kind of locks you got, or the type of doors you may have, we will unlock it for you and do it the right way. If you locked yourself out of your car or lost the only key you had, no worries! it's a common mistake. No matter how it happened or where it happened, Kwikey Locksmith Services is your number one solution for all your car key needs. 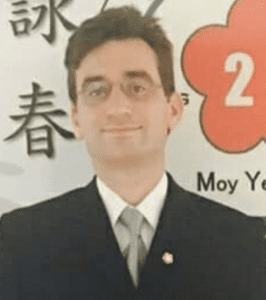 Have you ever come home after a long day, ready to get settled in your couch and watch some TV, only to find out that you’ve been locked out of your house or your vehicle? It’s pretty much a surefire way to ruin any mood. However, with the right locksmith to come to your aid, you can get your day back on track in no time at all! Our locksmith in West Palm Beach services are fast, friendly, reliable, and competitively priced – your ultimate lockout service! •Our expert locksmiths located right here in West Palm Beach know everything there is to know about the business. •From automotive to commercial to residential locksmith West Palm Beach services, we have got you covered. •From simply getting you into your home, vehicle, or business, to making new keys for you, helping you change locks to keep your security maximized, and so much more, we are here to help keep you safe and secure on your own property. •Right here with us, you can rest assured that both our services and our keys are a cut above the rest! Here are just a few of the reasons that the locals trust us as their automotive, residential, and commercial locksmith in West Palm Beach. From your first call to our office to us showing up at your property to the completion of your service, you will be greeted with friendly faces and helpful experts. We will guide you through the entire process of whatever locksmith service you need! Our experts don’t take any risks when it comes to your property. Every solution we use to get your vehicle, home, or commercial building unlocked or to change your locks will leave no trace of damage behind. We don’t want to fix one problem only to present you with a new one – that’s why we take extra care in every step of our locksmith services. Take care of all your locksmith service needs under one roof! We offer a wide and versatile range of services, helping you to get all of your needs fulfilled in one convenient place through a company that you can trust to get the job done right the first time. Lost your house key or found out it was stolen? Not only will we help you get back into your house, but we can help you change the locks all over your home to make sure you are secure from break ins. Your safety is our priority! Above all else, what we do as your local locksmith is provide you with safety, security, and peace of mind. By ensuring that your home or business locks are well-functioning and secured, we can make sure that you know you are safe to sleep in your own bed, work in your own commercial property, or leave your car in the parking lot without fear of a break-in. That’s why West Palm Beach trusts us as their local locksmith! Need a residential, commercial, or automotive locksmith in West Palm Beach? We’ve got you covered right here! We cover any locksmith service you could need, and we do it quickly, effectively, and at competitive rates. Here are some of the services we can help you with to keep your home safe and secure. One of the most basic things you can do to keep your home safe from intruders is to install locks, but we don’t only install your run-of-the-mill basic locking systems. Our experts are trained in the installation of the most advanced, state-of-the-art security technology. We can help you with the installation of traditional locks, deadbolts, and other mechanical and electronic locking devices to safeguard homes, vehicles, businesses, and other property. With our electronic and mechanical keypad systems, we’re able to go one step further to help you safeguard your home. By helping you keep your home safe with this advanced technology, you'll be able to sleep soundly at night with the peace of mind that your home has an extra layer of protection. •Repairs, Upgrades, and Replacements: In addition to installing locks and security systems, our locksmiths also can help you to modify repair, or upgrade your existing devices. This includes re-keying locks, making duplicate cards or keys, program or generate new cards or keys for locks that have had their cards or keys lost. No one likes being locked out, but it’s a little easier when you have us to call on. With our lockout service, we respond to emergency calls in the West Palm Beach area to unlock businesses, homes, and vehicles that have been accidentally locked or that have malfunctioning keys. We know that these things don’t happen when it’s convenient. That’s why we’re here when you need us, offering emergency services to help you get into your vehicle, business, or home when you need to. Whether you need an installation, a re-keying, an unlocking service, or anything in between, get in touch with us today. Call us now at 561-328-3308 to speak with one of our professionals and get any of your questions answered or to set up an appointment time that works best with your schedule. 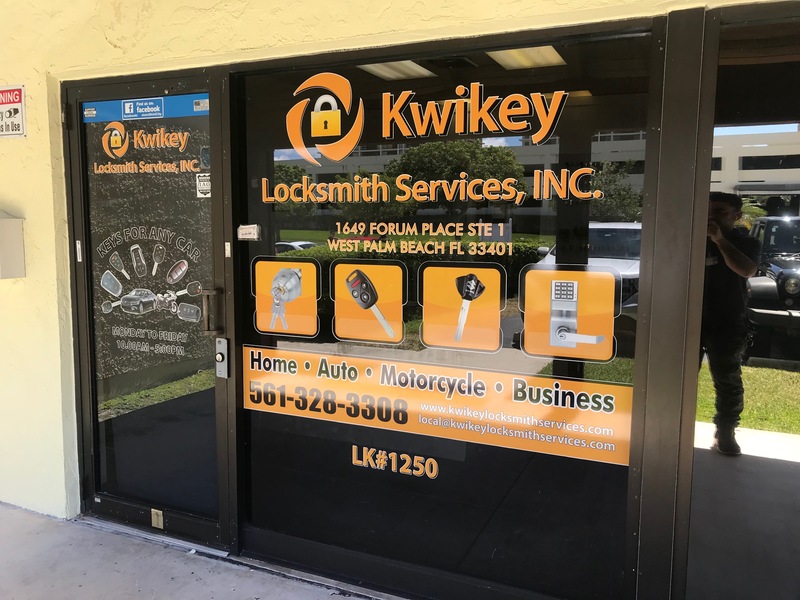 Kwikey Locksmith Services, INC. is located in West Palm Beach. We are open 24 hours. We are relatively close to Palm Beach International Airport (PBI), Palm Beach Gardens, and West Palm Beach. You can call us at (561) 328-3308. You can find us on Yellow Pages, Manta, and BBB.